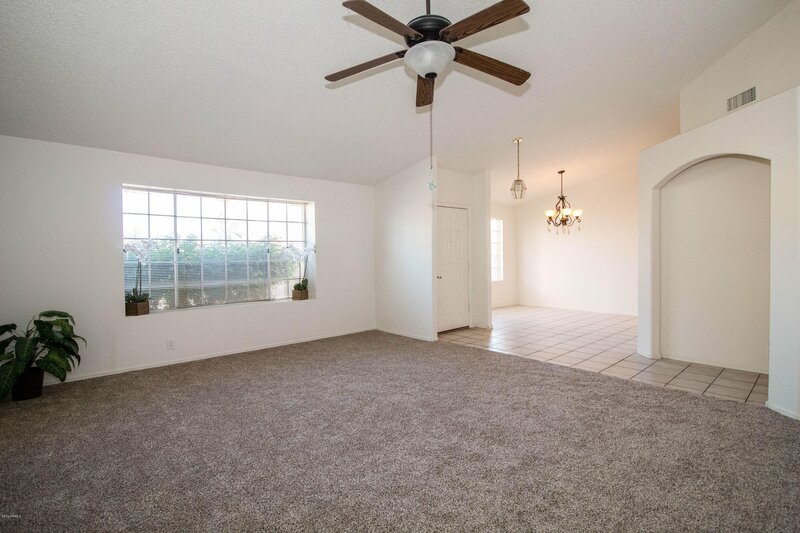 N/S exposure home, split floor plan w/plenty of space. 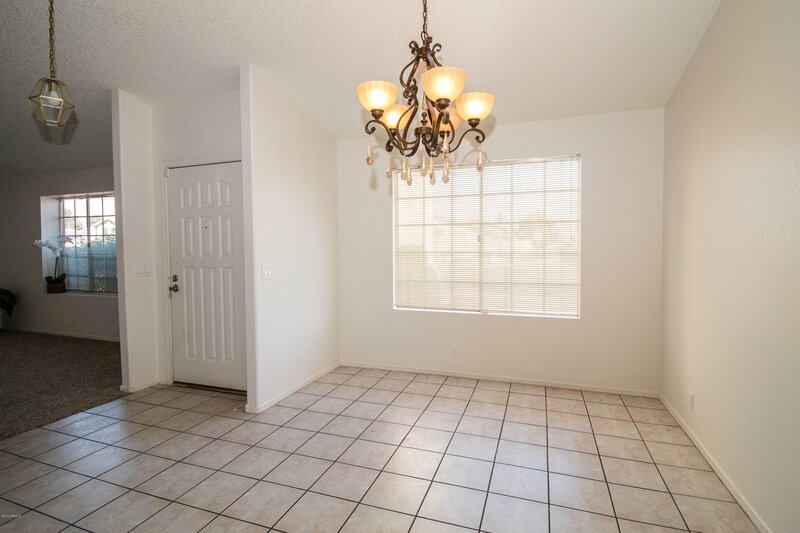 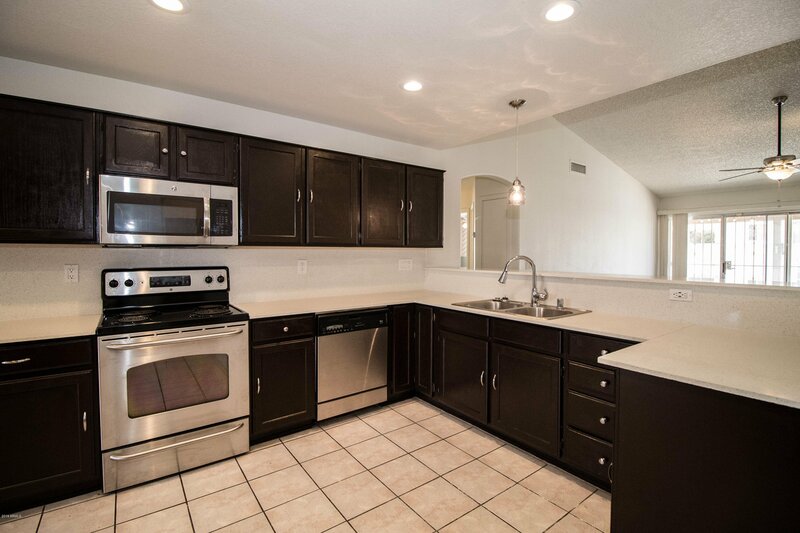 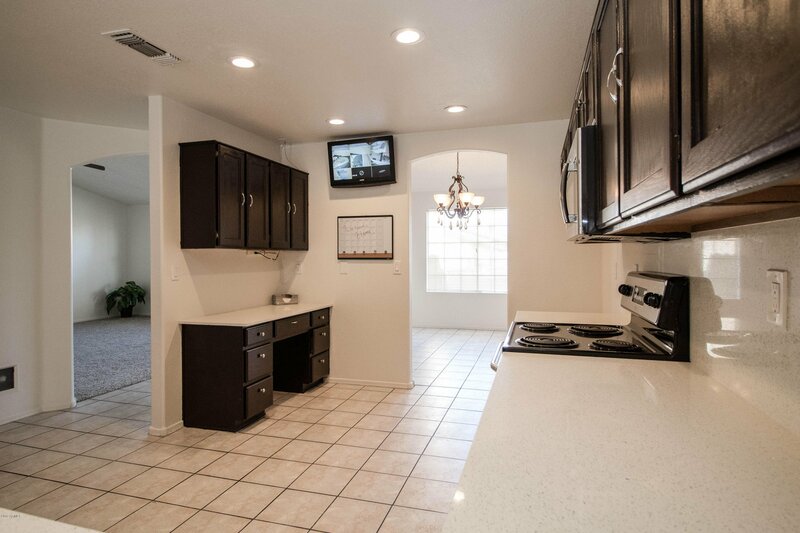 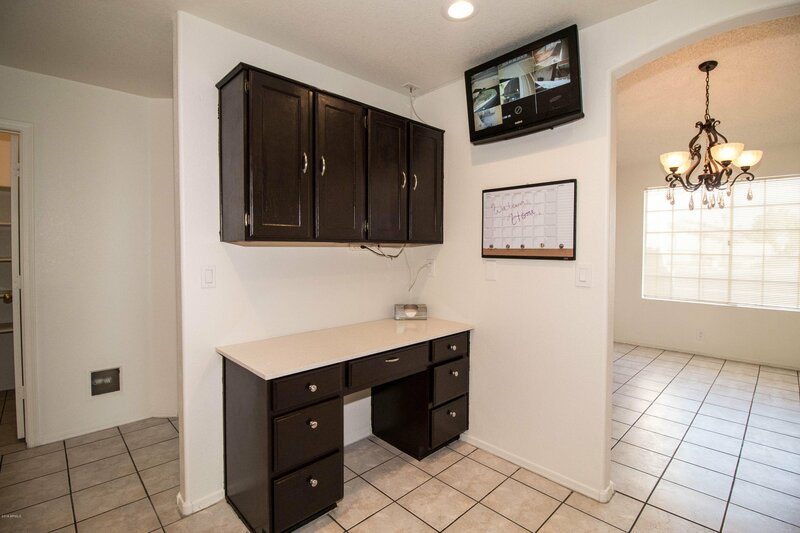 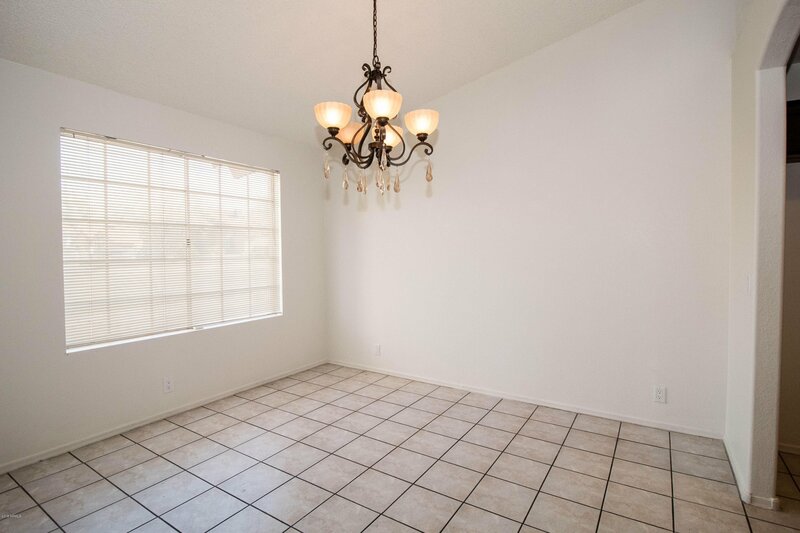 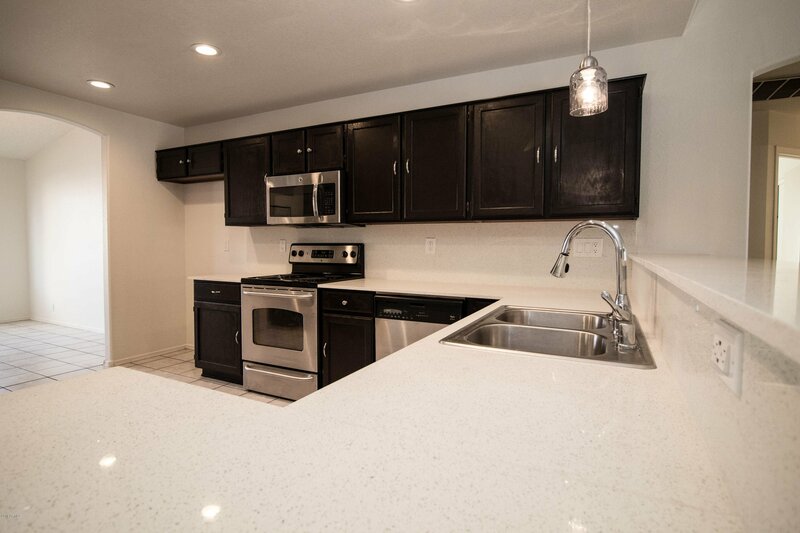 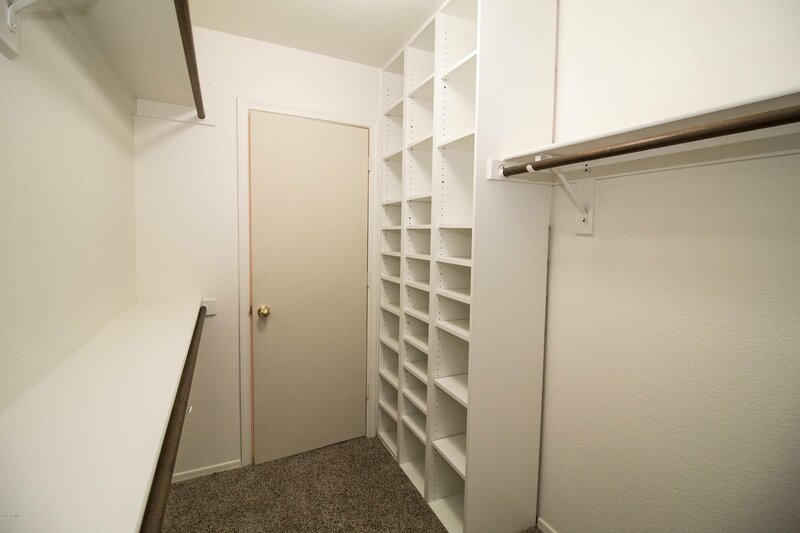 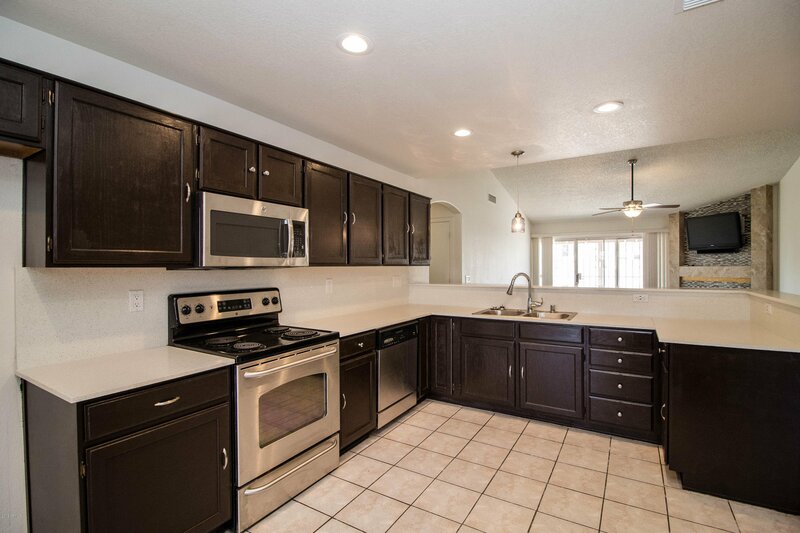 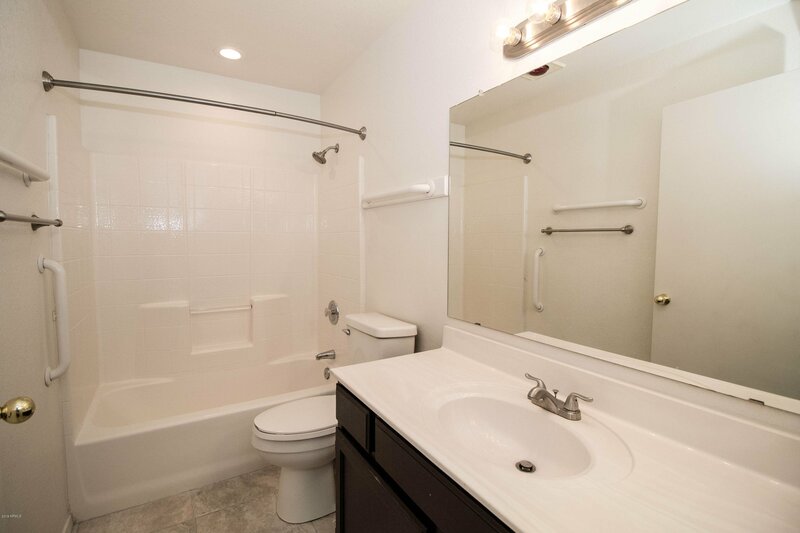 Spacious kitchen w/stainless steel appliances, quartz counter tops, raised breakfast bar, built-in desk, & walk in pantry. 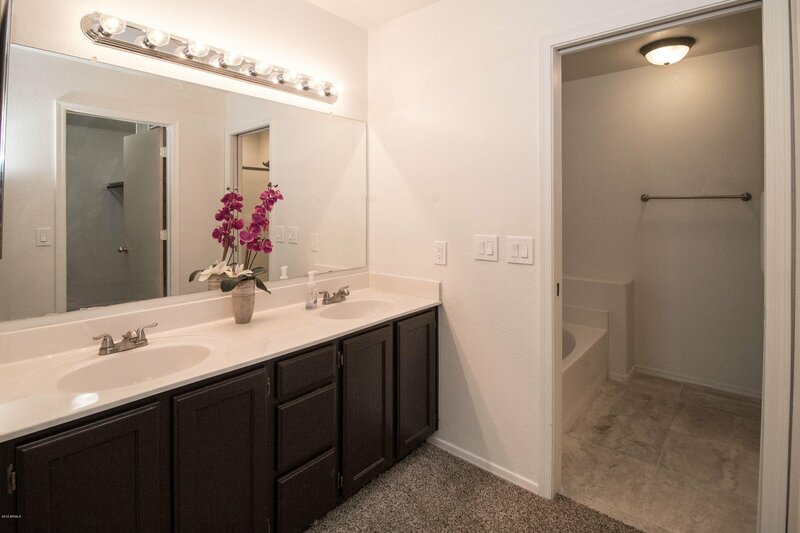 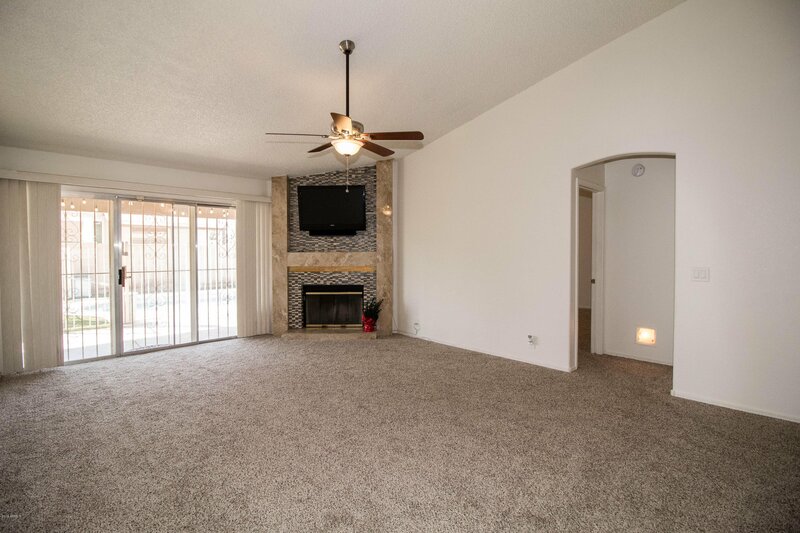 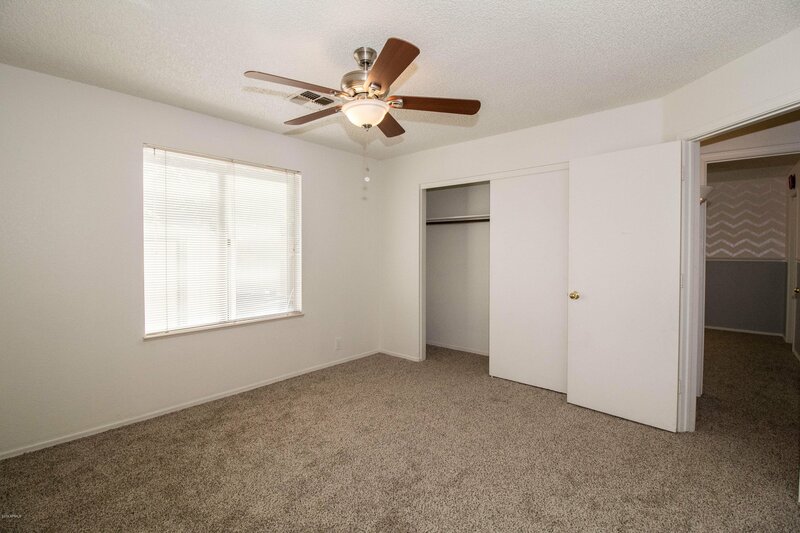 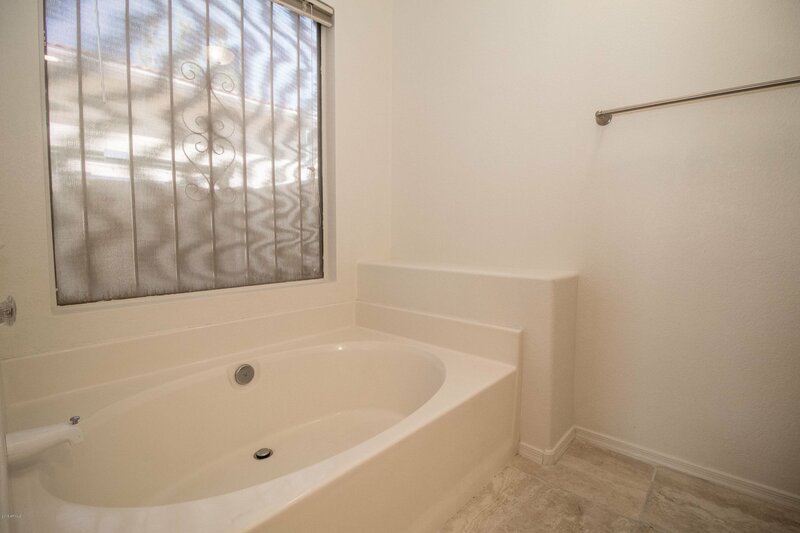 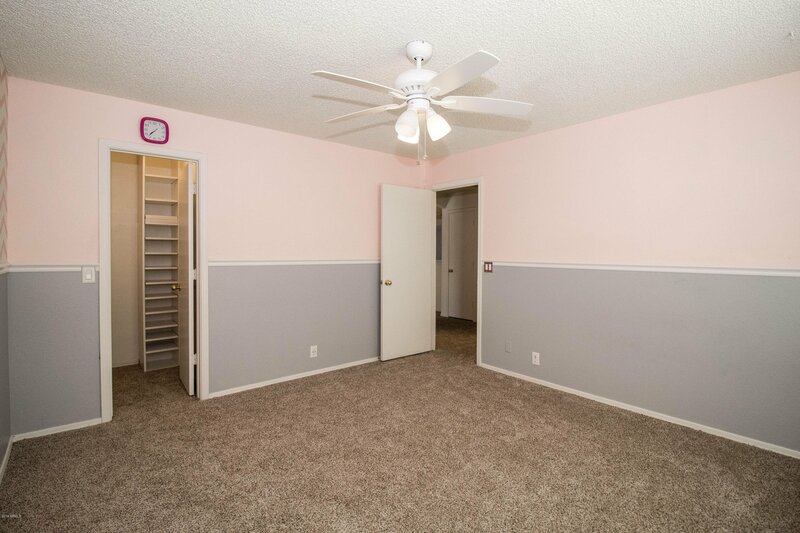 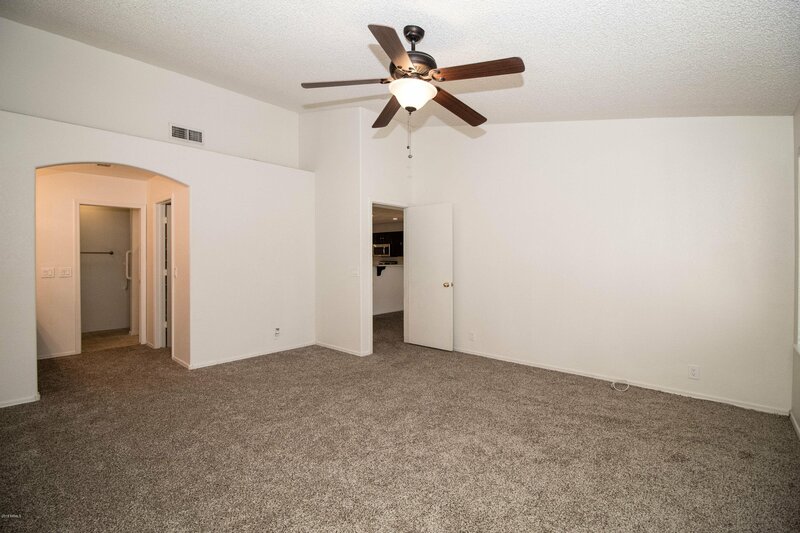 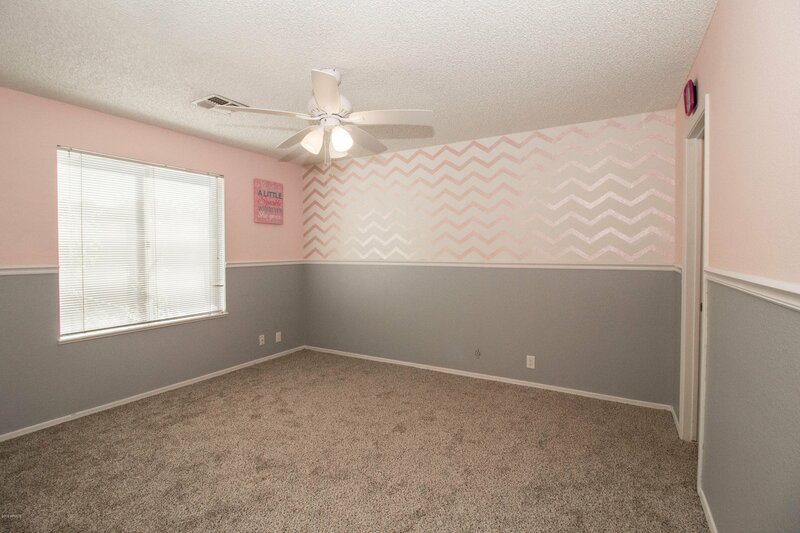 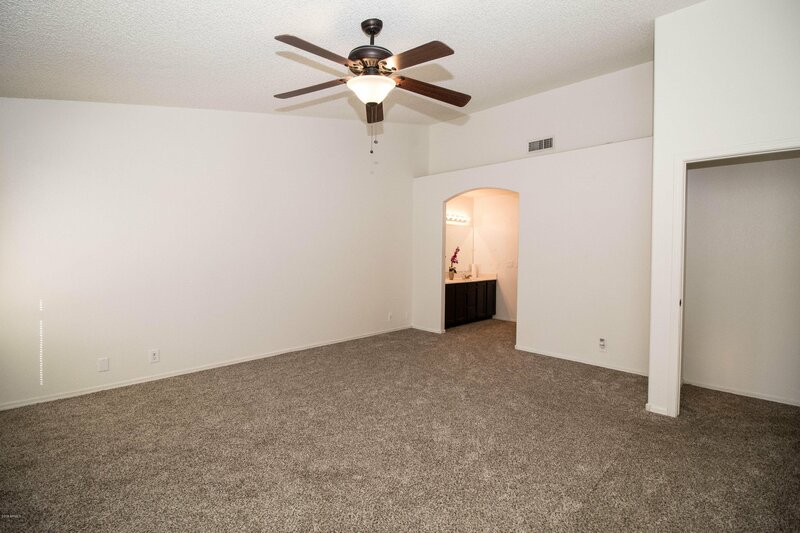 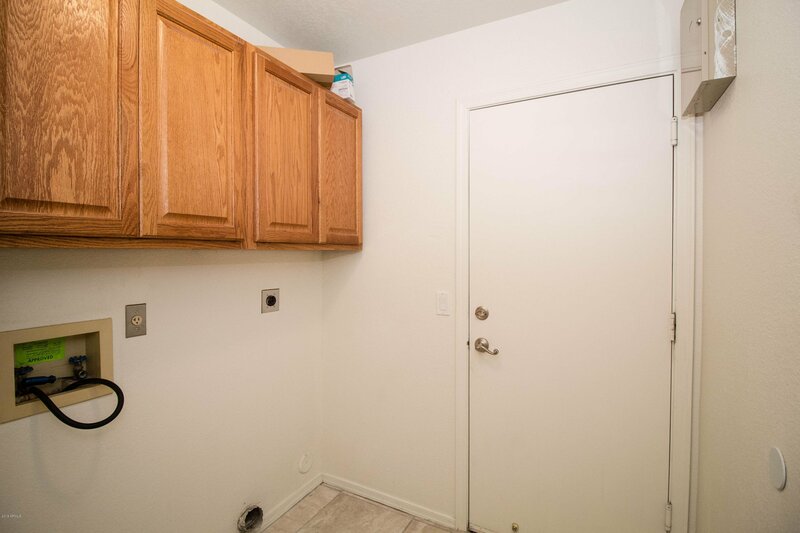 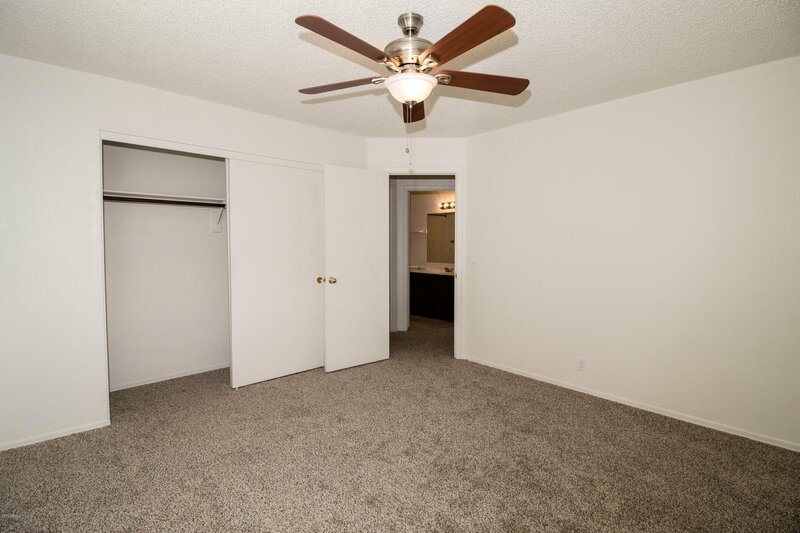 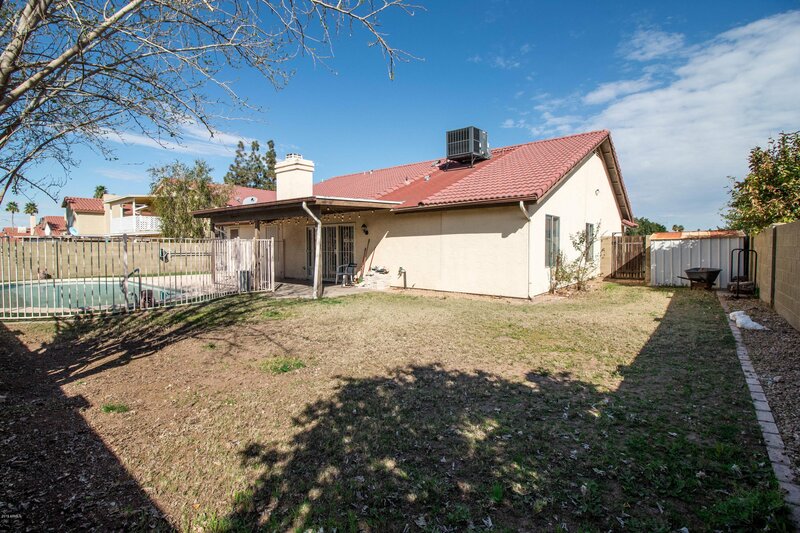 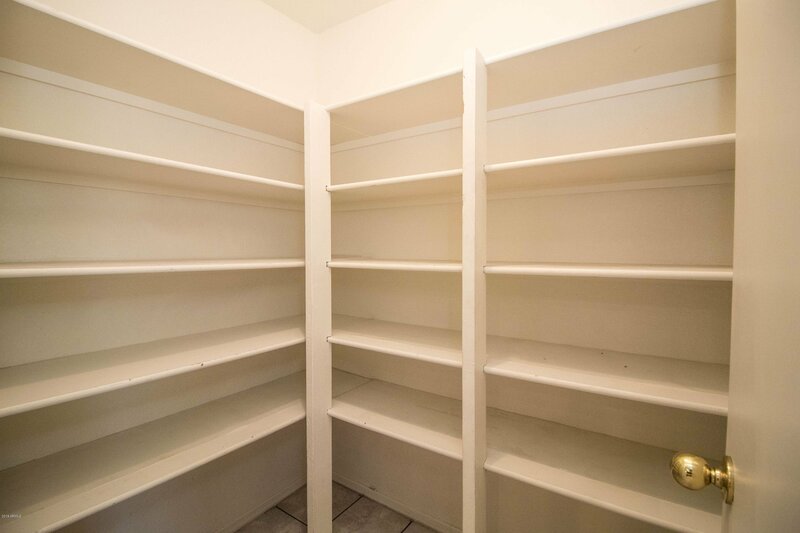 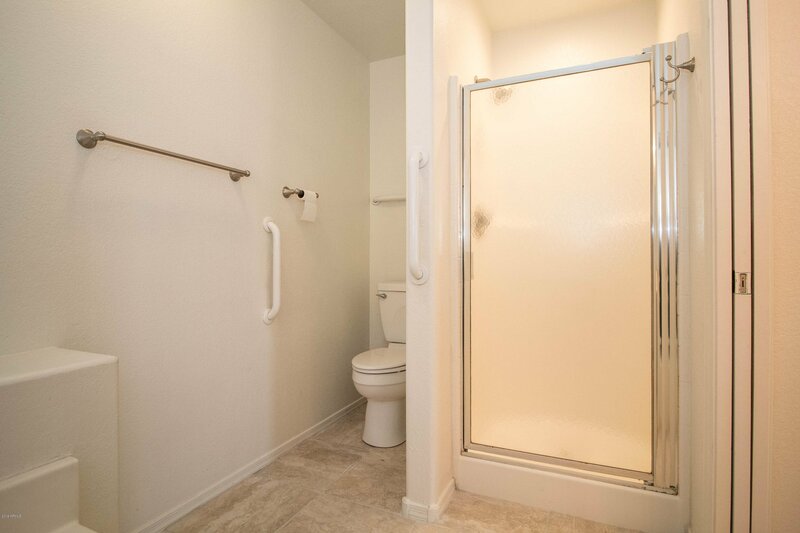 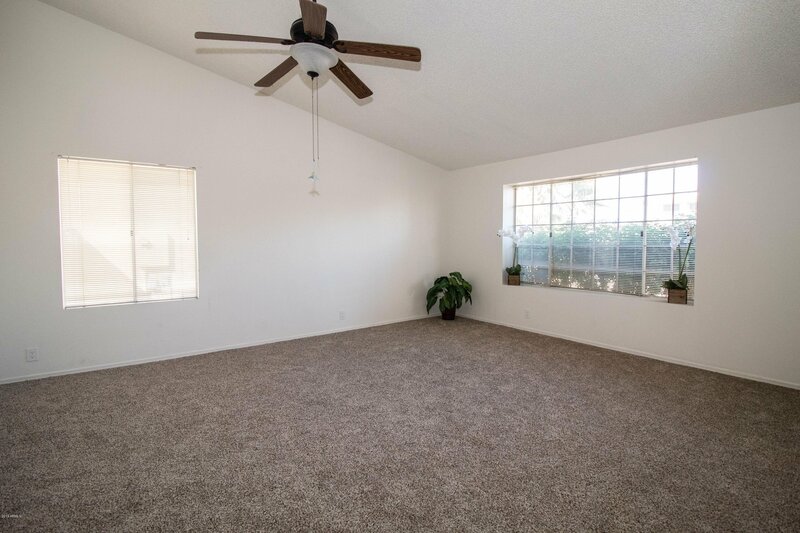 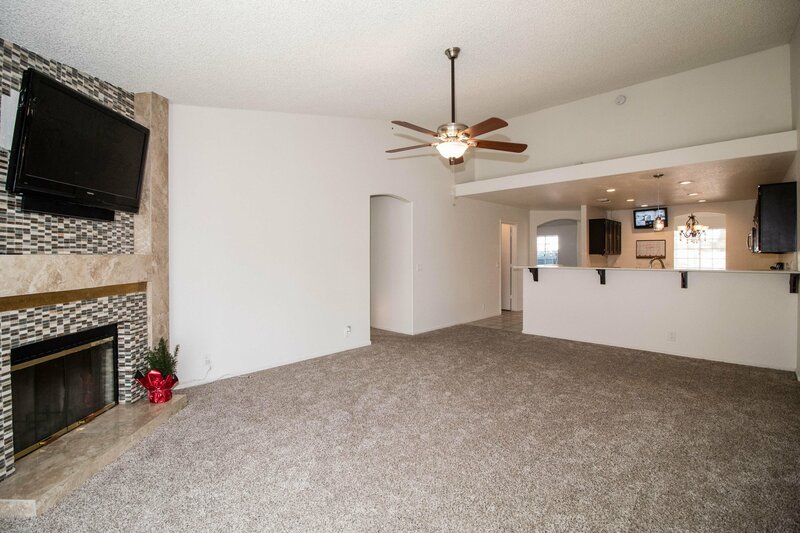 Newer AC unit only 2 yrs old, new carpet & interior paint, wood fireplace w/ glass tile surround, planter shelves, remote ceiling fans in MB & FR, walk-in closet in MB & additional bedroom, and separate living & family room. 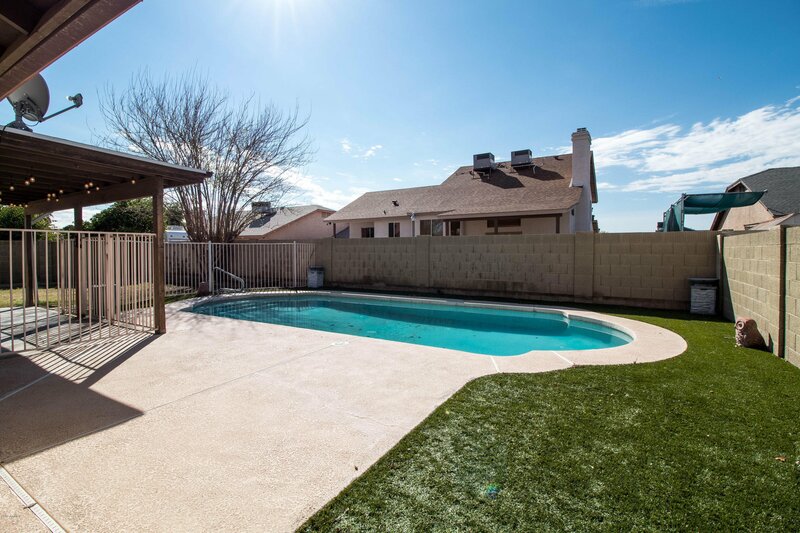 Cool off in the summer in the sparkling pool! 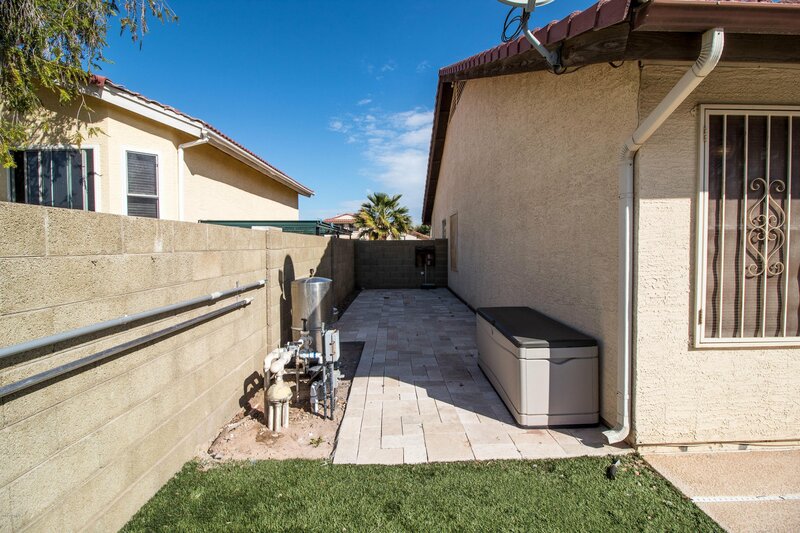 Grassy backyard & synthetic grass, pavers on one side of the home and storage shed on the other. 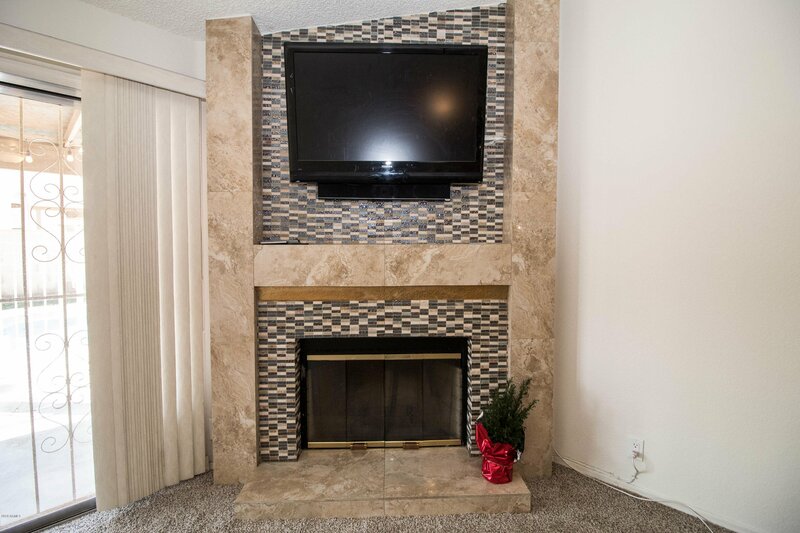 Security cameras around the home and to the pool, convey, as well at TV & mount above the fireplace. 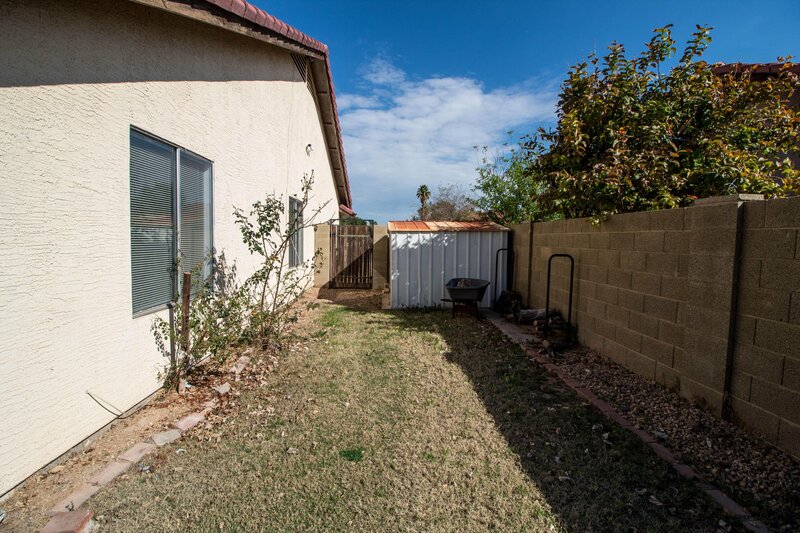 Wrought iron security doors and large yard! 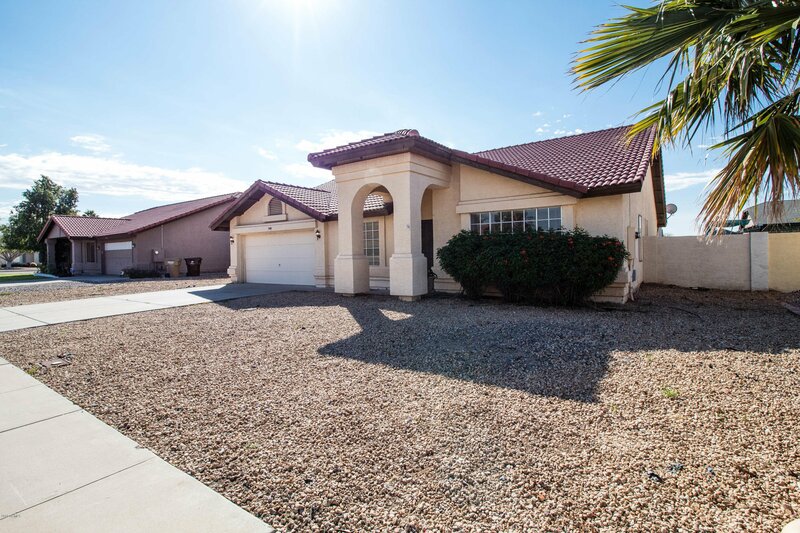 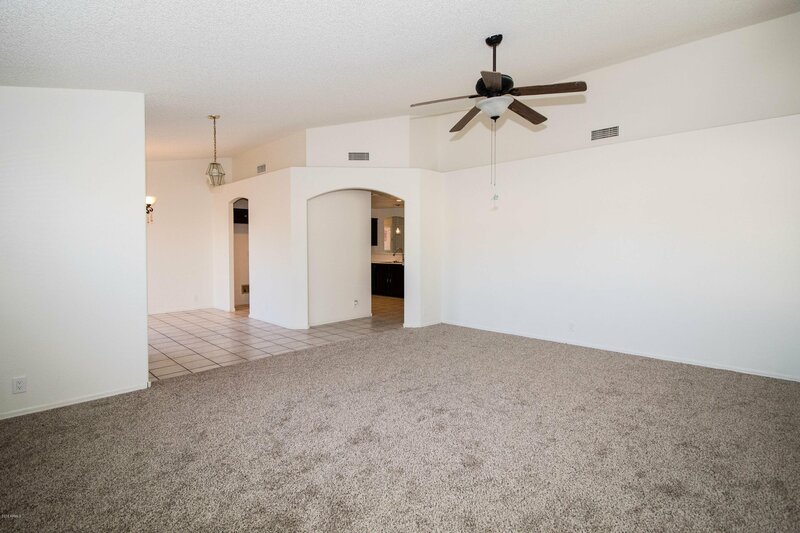 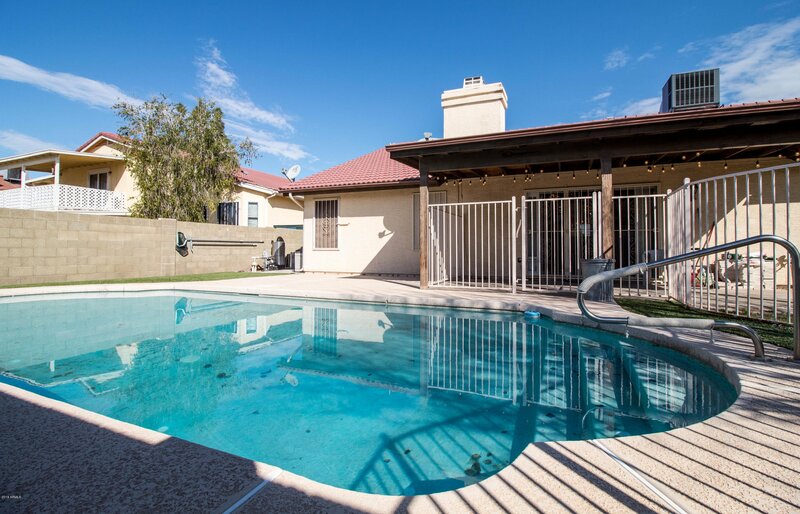 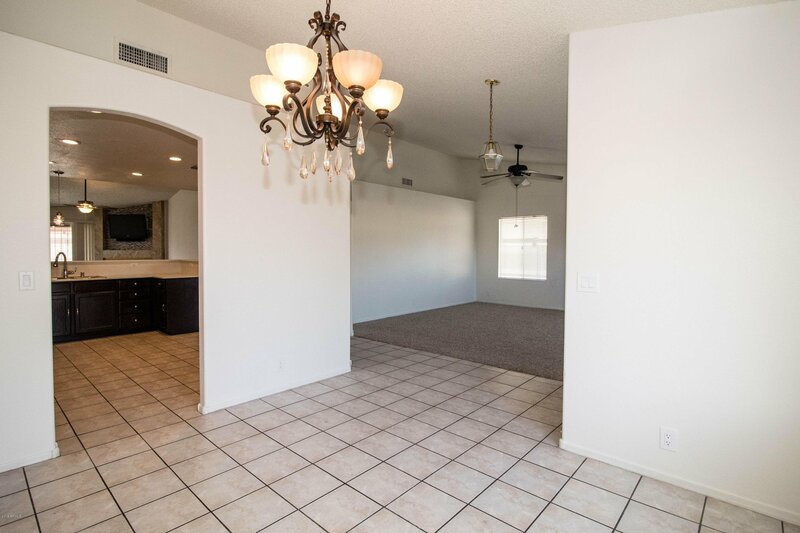 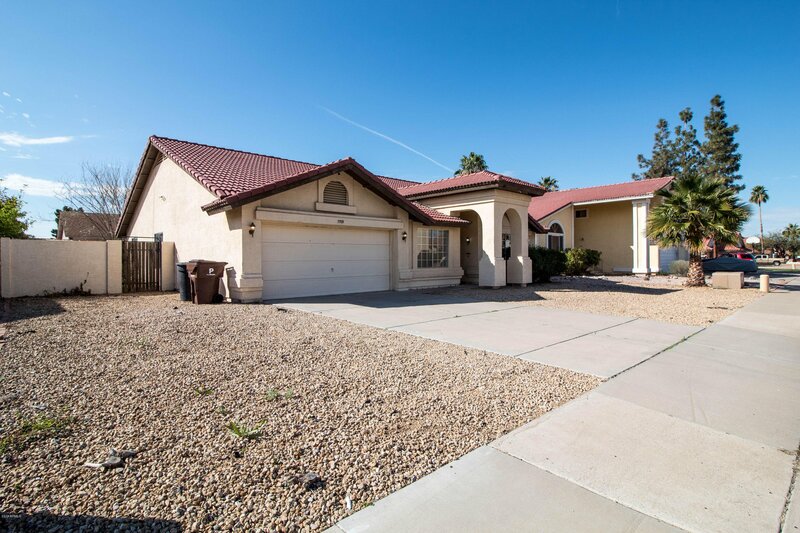 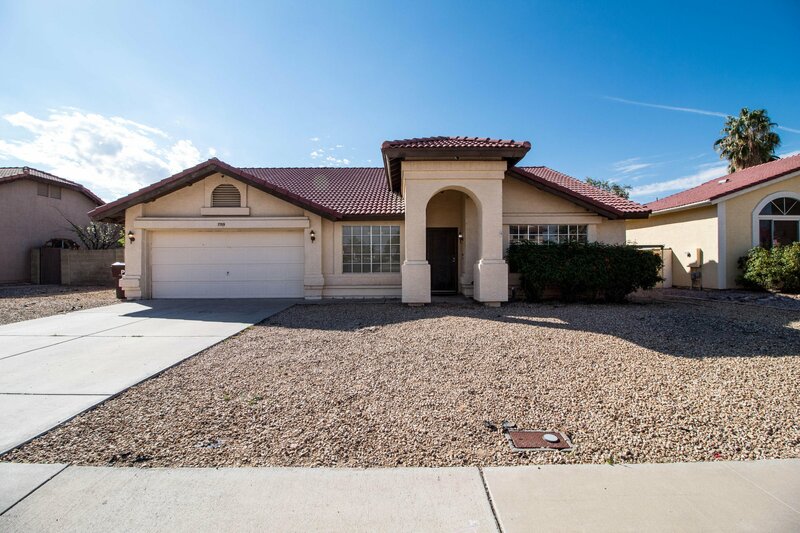 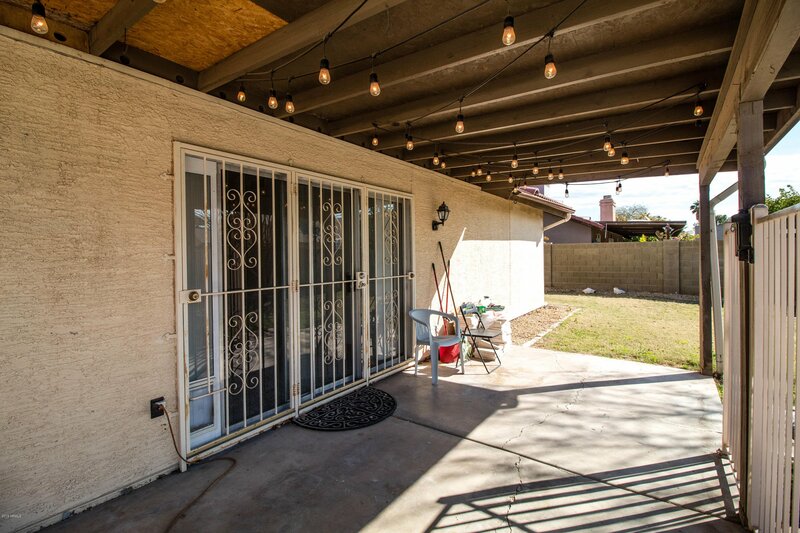 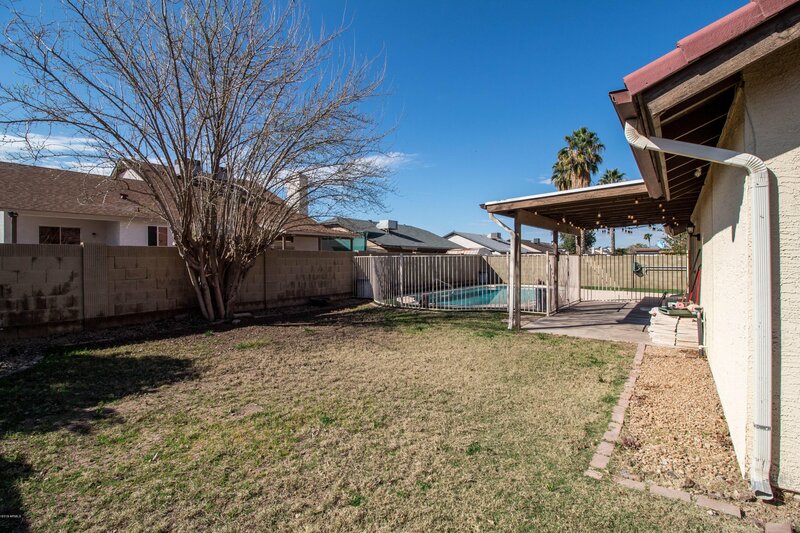 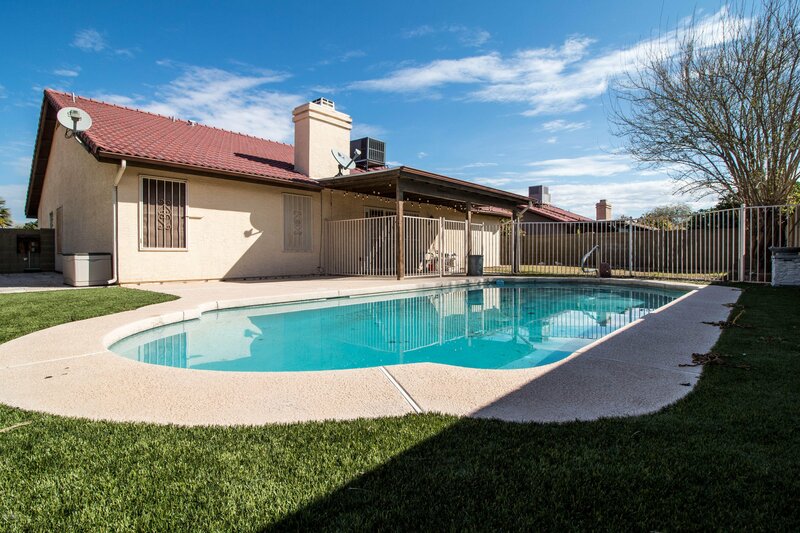 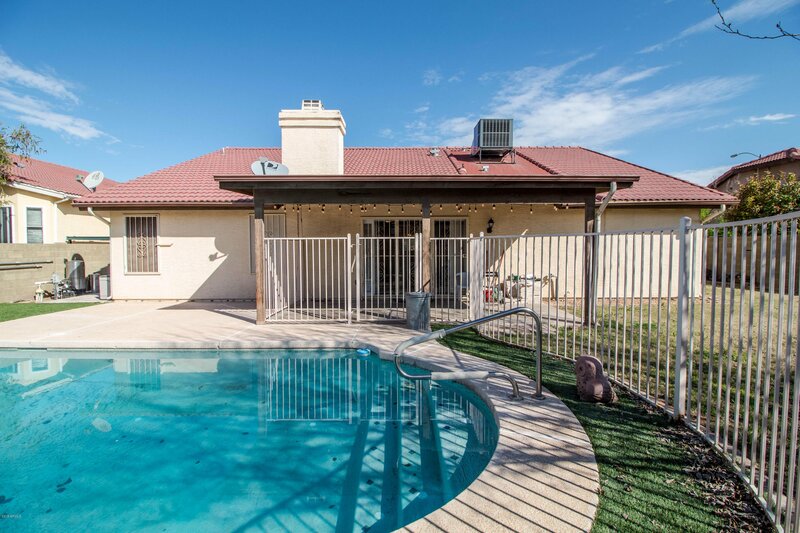 Walking distance to Peoria Elementary School and close to shopping, restaurants, and the Grand Ave & Loop 101 for easy commute.